Hosted at the ICMR’s National Institute of Medical Statistics (NIMS), is a free and online public record system for registration of clinical trials being conducted in India. Is a free digital archive of biomedical and life sciences journal literature at the U.S. National Institutes of Health (NIH), developed and managed by NIH’s National Center for Biotechnology Information (NCBI) in the National Library of Medicine (NLM). With PubMed Central, NLM is taking the lead in preserving and maintaining unrestricted access to the electronic literature, just as it has done for decades with the printed biomedical literature. Health and Life Sciences is the subject group of Intute that provides the very best web resources for education and research for Medicine,Nursing, Midwifery and Allied Health,Agriculture, Food and Forestry,Veterinary Medicine, Bioresearc,Natural history. Intute is a free online service providing you with a database of hand selected Web resources for education and research. Prime content of this site consists of Indexing Data [Metadata] of articles published in Indian Biomedical Journals. Other content includes a compilation from other resources with suitable references. The site is maintained by a Group of Library and Information Professionals. A Bibliographic database of Indian biomedical journals ,A database containing journal holdings of major medical libraries of India. This extensive library collects materials and provides information and research services in all areas of biomedicine and health care.Is a part of the National Institutes of Health, US Department of Health and Human Services (HHS). NLM has nearly 12 million books, journals, manuscripts, audiovisuals, and other forms of medical information on its shelves, making it the largest health-science library in the world.Plus vast online holdings is PubMed Central. The network consists of 5,600 member institutions, including eight Regional Medical Libraries that receive NLM support, 125 resource libraries connected to medical schools, and more than 5,000 libraries located primarily in hospitals and clinics. Grant Programs: The Extramural Programs Division provides grants to support research in medical informatics, health information science and biotechnology information, as well as for research training in these areas. Provides e-publishing solutions – health care research, international health care research report, analysis global health care services, market research solutions, India global food market research analysis, research and analytical tools India, market research company in India, outsourcing research and consultancy in India. 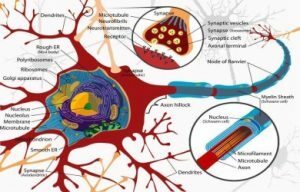 MyNetResearch is a worldwide online network of academic and corporate researchers with over a thousand knowledge specializations. Purpose is to assist you in maximizing your research productivity through global collaborations. One point resource of peer reviewed Indian biomedical literature covering full text of IndMED journals. It has been designed to provide quick and easy access through searching or browsing. preparation process (potentization).It contained more than 1190 experiments in more than 900 original articles, including 1014 biological studies. Web database for the systematics of remedies and provings. More than 2000 remedies in their scientific systems and taxonomy with latin, english, german and customary homeopathic names. More than 700 provings listed, old and new ones (e.g. all provings of Hahnemann directly linked). A database on plants and fungi used in homeopathy on the website of the Natural History Museum in London, United Kingdom. It contains details of hundreds of plants and fungi as well as lichens, brown and red algae. 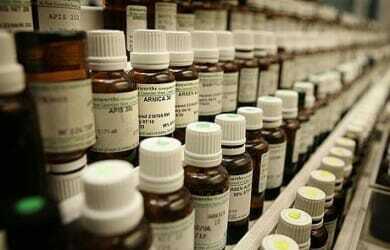 The database reconciles the old homeopathic codes with the current botanical code. 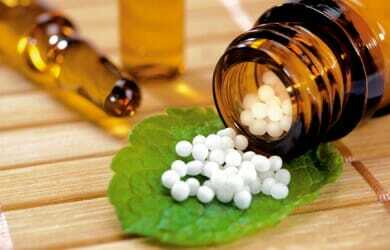 The information is based on long established remedies in the Homeopathic Materiae Medicae that are now revised and updated and the online access means it can be maintained and updated easily in line with current concepts of botanical nomenclature. www.high-dilutions.net : In this work, the authors springing from different scientific disciplines set down in common their knowledge and experiences to provide one explicit model of the nature and of the working of “High Dilutions” in Homoeopathy. This discovery has a lot of applications among which the modeling of Hahnemann’s work is not the least. Provides training and clinical research site setup support to physicians who would like to upgrade their medical practice into well trained and equipped clinical research sites. 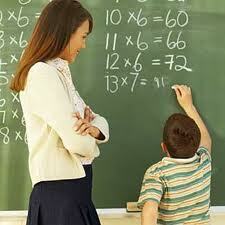 It is part of the School’s UK program that students take part in the proving of a new remedy. Participation in this process provides invaluable insights into the philosophy of healing as well as the action of homeopathic remedies. The results of these provings are made freely available to anyone, along with details of other provings undertaken by some of the School’s faculty. This site houses Jeremy Sherr’s Dynamis School provings. The complete provings of a number of New Remedies including: AIDS Nosode, Falcon, Heroin and Positronium and many others. Some of the latest provings are available from here from Luminos Homeopathic Courses Ltd. Check out hummingbird, brown recluse spider, argentum sulphuricum and many others. This page provides access to a comprehensive list of new provings and their links. would appreciate your valued advice on whether Homoeopathy can help. am 52, have cataracts and diplopia in both etes, as well as palmo-plantar eczema. all of many years standing. your kind cooperation is requested for and will be most appreciated.